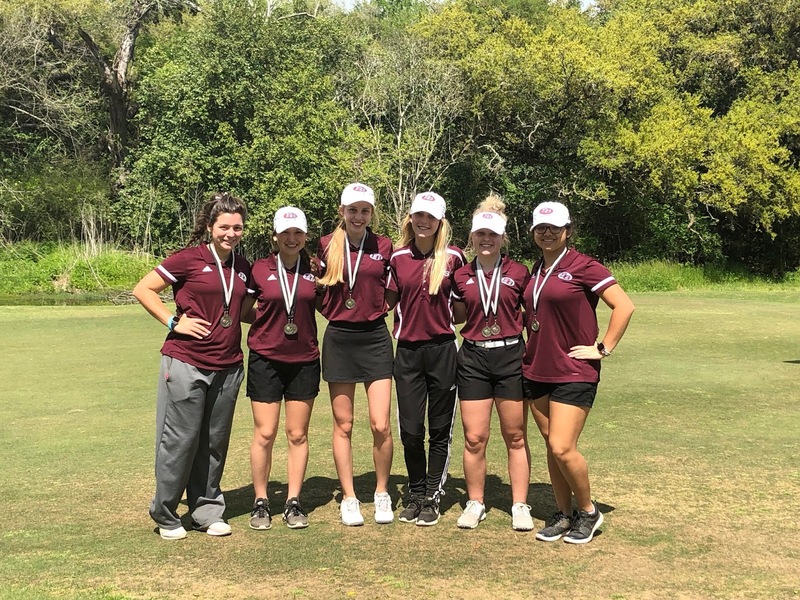 This past week both your Brahma and Brahmarette golf teams traveled to Flatonia to play in their last tournament before the district tournament. Both the boys and girls teams took home medals after strong performances. The boys played on Monday and had strong outings from all five players. Ryan Morse was the low score for the Brahmas shooting an 85 which earned him 8th place overall. Jace Talas followed him with an 88. Following those two scores were solid scores shot by Doug Grymes with a 90, Alex Lopez with a 100 and Bryce Somer with a 108. The boys overall score was good enough for 3rd place as a team. They are heading into district very strong and working as hard as ever. 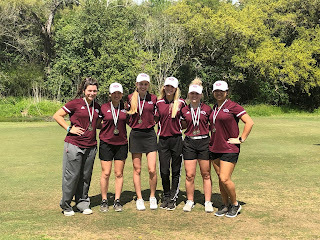 Wednesday the girls took on the Flatonia course and turned in the lowest team score they’ve had in a long time. Leading the way for the Brahmarettes was Hailey Henry with a 94 earning her 4th place as an individual. Following her was Kirbi Guthman with a 98 earning her 5th place overall. Following them were Grace Tovar with a 100 giving her 8th place, Sydney Sandoval with a 105, Riki Nardiello with a 108, and Ella Grymes with a 115. The team score of 397 was good enough for 1st place and the first time the girls have broken 400 in a long time. They are also riding high on momentum heading into the biggest tournament of the year. 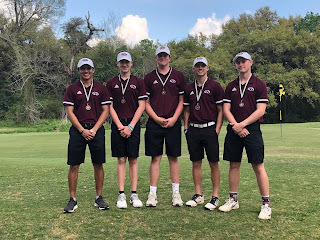 All the East Bernard golfers have been working extremely hard all year long. If you see any of this great group of young men and women please congratulate them. They will all be competing at Rio Colorado in Bay City, Wednesday the 3rd with the first group going off at 8:30 AM. Please wish them good luck as they compete for the town of East Bernard.